Cheese and crackers with wine is a popular gift choice, especially at Christmas. 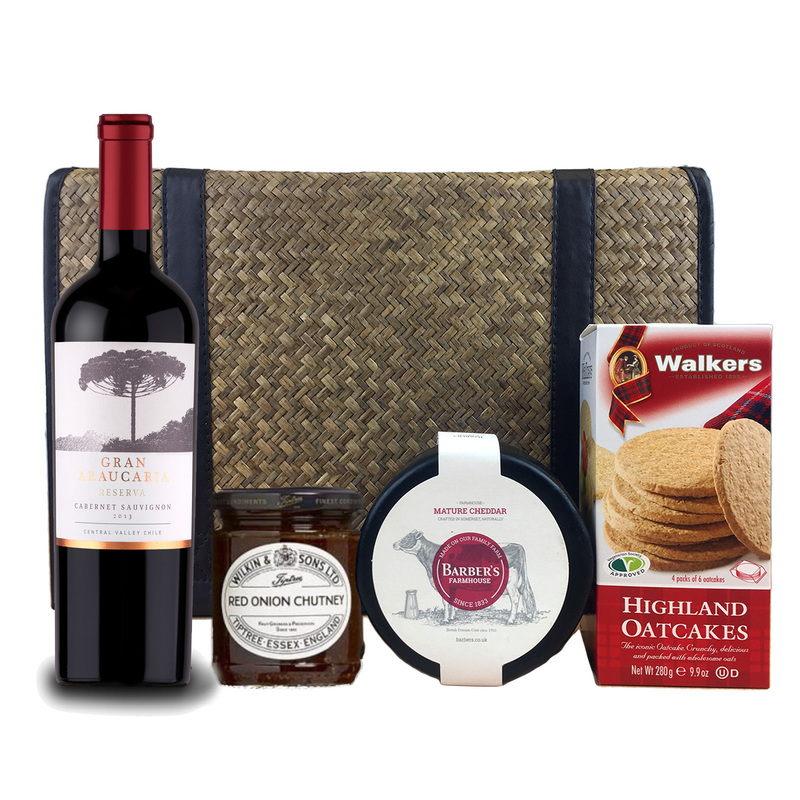 This hamper is a fine selection of wine and cheese, a delicious Farm house Mature Cheddar pried with its perfect wine a Cabernet Sauvignon from Araucaria winery, all packed with some highland Oatcakes and red onion chutney. An ideal choice for those with a love of cheese and wine.